Za recept na bosanskom kliknite ovdje. 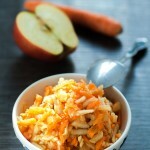 You’ve eaten apples and carrots hand in hand before, I’m sure, but I bet it didn’t occur to you to grate them together. I’ve been going pretty easy on you with the last few recipes. It doesn’t get easier than a chocolate mousse and pasta with cheese, all in less than 30-minutes. Don’t relax for too long though, because something incredible is coming your way. 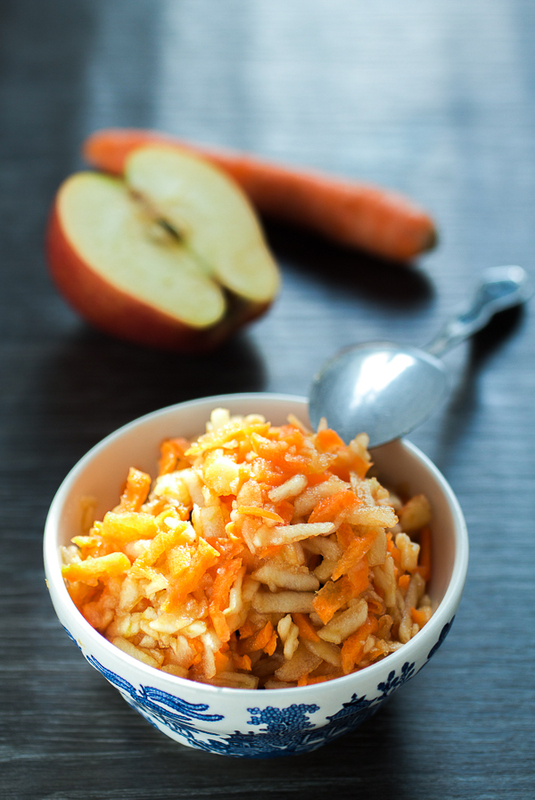 Grated apples and carrots are a dessert. It’s embarrassing how easy it is to make this. Grate an apple. Grate a carrot. Combine. Add sugar (optional). There you have the entire equation for a one person serving size. I wouldn’t have even mentioned this salad, but two things happened. 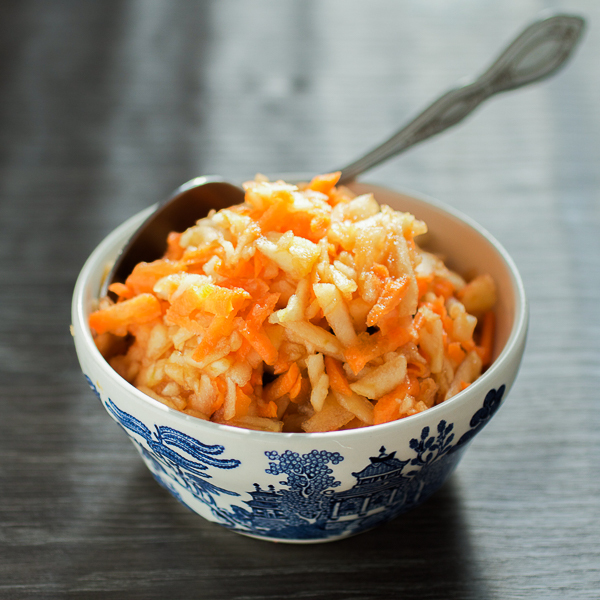 One, you guys went bananas over the grated fresh beet and carrot salad. 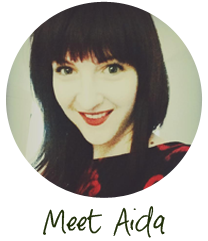 I’ve never had as many daily visits on my blog as I did that day. I break my knuckles bringing you the best Balkan delicacies. I bring you baklava, burek, breaded crepes… but all you want is some grated beet. Go figure! Two, it occurred to me I hadn’t seen a lot of grated food other than cheese and cole slaw, while living in the US. That may explain number one. I’m not entirely sure what your reception of this grated salad will be, but if you make it once, you’ll make it again. It’s so sweet, and satisfying, you’ll never hunt for chocolate after a meal again. 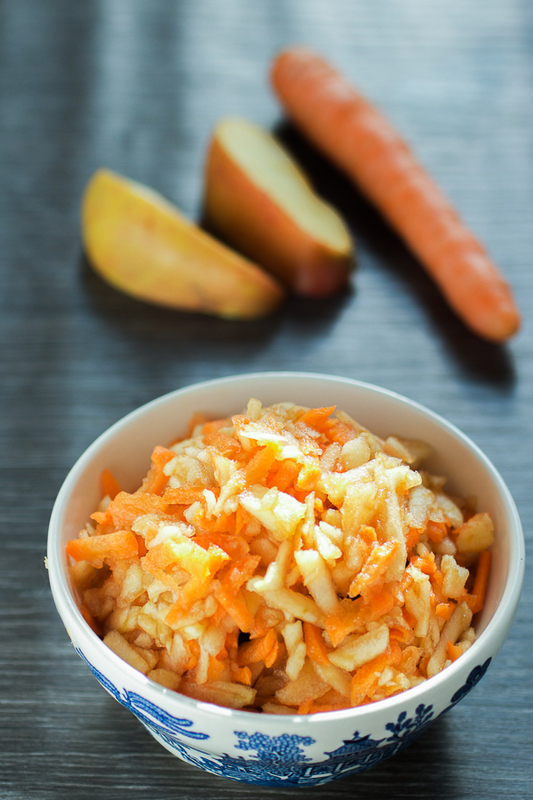 Wash, peel and grate apples and carrots. Combine. Add sugar. If you won’t immediately consume the salad, spray with a little bit of lemon juice and leave in the fridge until ready. Consume the same day though.